Pandora Decorative Butterflies Safety Chain. A duo of dazzling sterling silver butterflies are the focal point of this exquisite safety chain. 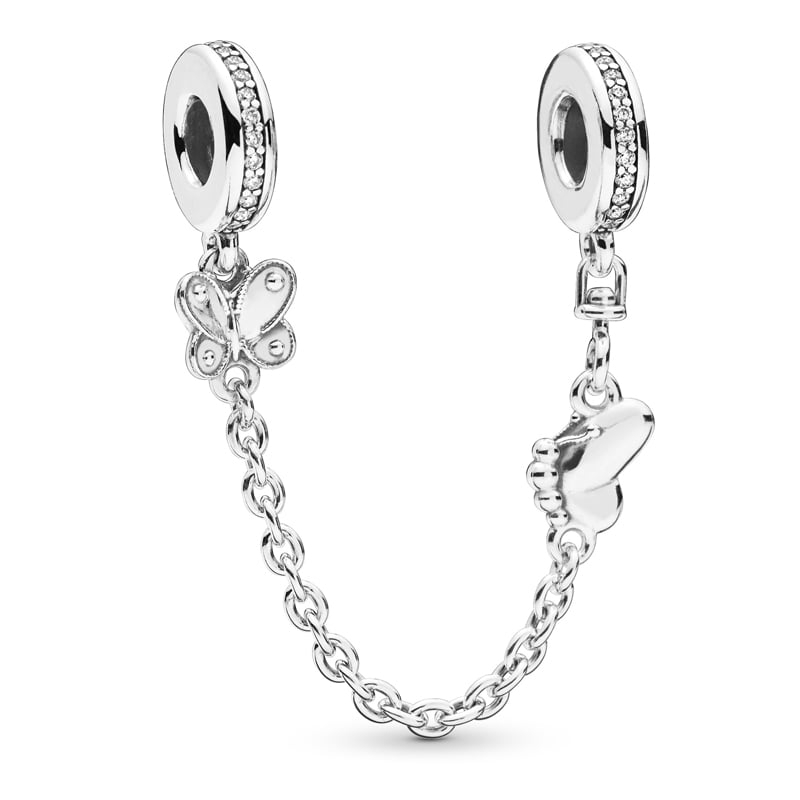 They dangle daintily - as though to give the illusion they're flying, all whilst keeping your bracelet and charms perfectly safe.